The judge acknowledged that the manslaughter conviction had been the correct one as the crime was “clearly not a premeditated killing”. A MAN WHO fatally stabbed his housemate in the heart when they rowed about food during a drinking binge was jailed for five years today. Deivydas Zigelis, a 39-year-old Lithuanian, was found not guilty of murder but guilty of manslaughter of Alexander Karpovs (26) by a jury in June this year. Mr Karpovs, who was originally from Latvia, died of a single stab wound to the heart at his home on Spa Street in Portarlington on February 15, 2014. 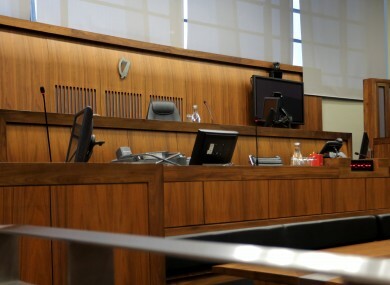 Sentencing Zigelis to seven years at the Central Criminal Court, with the final two years suspended, Mr Justice Paul Butler said that when a “human being is stabbed to death in such circumstances that the charge should be murder”. However, the judge acknowledged that the manslaughter conviction had been the correct one as the crime was “clearly not a premeditated killing”. During the trial, jurors were shown photographs taken inside the house that the dead man and his killer shared. The images showed that the floors had been littered with debris, broken crockery, drink cans and empty cigarette boxes. Describing Zigelis as a “functioning alcoholic”, Mr Justice Butler said the killing “took place in a hovel”. The judge added that the defendant “appears to be decent person” who has vowed never to touch alcohol again and has “shown genuine remorse”. Email “Man who stabbed housemate to death jailed for five years”. Feedback on “Man who stabbed housemate to death jailed for five years”.